KoffeeWare today announced an extension to the KoffeePhoto photo sharing service with the introduction of KoffeePhoto Premium, an online photo backup service as a paying option. Digital photography is great for its flexibility. But when it comes to make sure it resists time, specific measures need to be taken as digital photos are a compilation of people's life: weddings, babies, friends, parties, holidays… Every 15 seconds a hard drive crashes, what is done to preserve photos? Nikon today introduced the latest generation of its robust image processing and editing software, Capture NX 2, which provides photography enthusiasts with a suite of powerful tools and a simple, visual operation to streamline photo editing. Capture NX 2 utilizes revolutionary U Point technology to give photographers access to powerful Control Points that enhance color, exposure, and other image quality settings quickly and easily. Silicon-Power today released its 16GB Touch 210/ 212 series. Touch 210/ 210's simple and compact outline (8.00mm slim and 10gram light) makes it easy to carry. With 16GB huge capacity, aiming at young people like college students and fresh men at work. Touch 210/ 210 series equipped with unique cap-less design with a retractable USB connector frees customers from worrying about losing the cap of USB flash drives. Silicon-Power Touch 210/ 210 series are definitely a best choice for all consumers. This years Photokina is held in Cologne on September 22-27 and if you are a photographer, you are eligible to enter Think Tank Photo's drawing for free round-trip airfare, hotel, spending money, and exhibition passes to photokina, the world's largest photo and imaging trade fair. Join over 160,000 visitors from 156 countries in exploring 1,600 exhibitors of cutting edge imaging products from almost 50 countries. 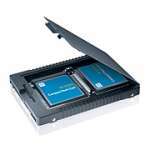 Silicon-Power launches its new USB flash drive - Touch 610. Silicon-Power Touch 610 is a brand new idea of USB sticker which composed with retractable mechanism design and vivid colors. Unlike the others, the Touch 610 sliding pad can be easily pushed and retracted without a breach on the whole design which protects the connector from damage and eliminates the needs for cap. Touch 610 combines functionality with newfangled modeling including both eco-awareness and concept of aesthetics. It measures a mere 61 x 19.8 x 11.8 mm and weighs only 8.6g. The Pro-Imaging organisation today announced that the Annual Nikon Small World Photomicrography Competition, the oldest and most respected of its kind celebrating the world's best photomicrographers, is now further distinguished by becoming one of the first contests to fully meet the Bill of Rights standards for photography contests as set out by Pro-Imaging.org. 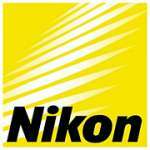 This announcement follows an agreement between Pro-Imaging and Nikon Instruments Inc. with regard to fair and respectful terms and conditions for photography contests. The new Olympus E-520 digital single lens reflex (DSLR) camera delivers brilliant images thanks to advanced technologies that help take the blur out. Industry leading Image Stabilization built into the portable camera body compensates for movement so that images are sharp and blur-free with any lens and even at slow shutter speeds. Autofocus Live View brings subjects into sharp focus on the camera’s HyperCrystal II LCD. 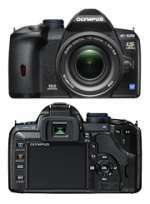 Pentax Imaging Company has announced the Pentax Optio W60 compact digital camera. Lightweight and fully waterproof, the Optio W60 features 10 megapixels and a 5X zoom lens with 28mm wide-angle capability. The enhanced design of the Optio W60 allows the camera to operate up to 13 feet underwater for two hours and at extreme temperatures well below freezing. SanDisk Corporation today introduced the fastest card in its Memory Stick product family: the SanDisk Extreme III Memory Stick PRO-HG Duo with read and write speeds of 30 megabytes (MB) per second. The card, available in June in 4-gigabyte and 8GB capacities, is ideal for professional photographers and advanced amateurs who use Sony digital single-lens reflex (SLR) cameras. Lowepro today announced the Inverse AW series of beltpacks designed for the digital photographer. The Inverse can be utilized in two distinct carrying modes: worn around the waist by snapping on the contoured mesh lumbar belt or carried as a shoulder bag with the detachable 360° swivel padded shoulder harness. The quick-access lid opens 180 degrees making loading and retrieving gear from the padded and customizable main compartment simple. In addition to the water-resistant exterior materials, the Inverse AW also features a built in Lowepro All Weather Cover to protect the contents from rain, sleet and snow. Available in two sizes, the Inverse 100 AW and 200 AW, the series has the carrying capacity for a pro-style digital SLR with attached lens as well as extra lenses, flash units and accessories. Tamron announced the launch date of three new lenses SP AF28-75mm F/2.8 XR Di LD Aspherical (IF) MACRO, AF28-300mm F/3.5-6.3 XR Di VC and SP AF70-200mm F/2.8 Di all of them are for use with Nikon cameras. Lenses will be launched on May 30 in Japan. Tamron didn't gave any information about the prices for this lenses.